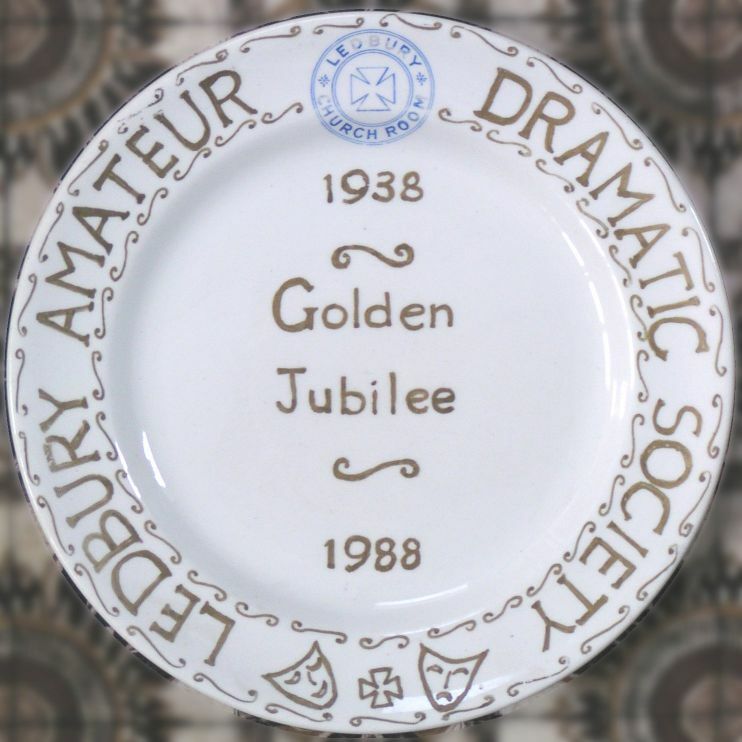 Ledbury Amateur Dramatic Society, a member of The Little Theatre Guild of Great Britain, is a registered Charity (no. 1174743), and was formed in 1938. For over 40 years, LADS produced plays in the old Market Theatre, shown to the left, which was built as a temporary church hall on the same site in 1910. 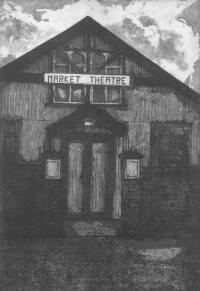 The Market Theatre is owned and run for the community by LADS. The whole building, or just the foyer, may be hired – details here. 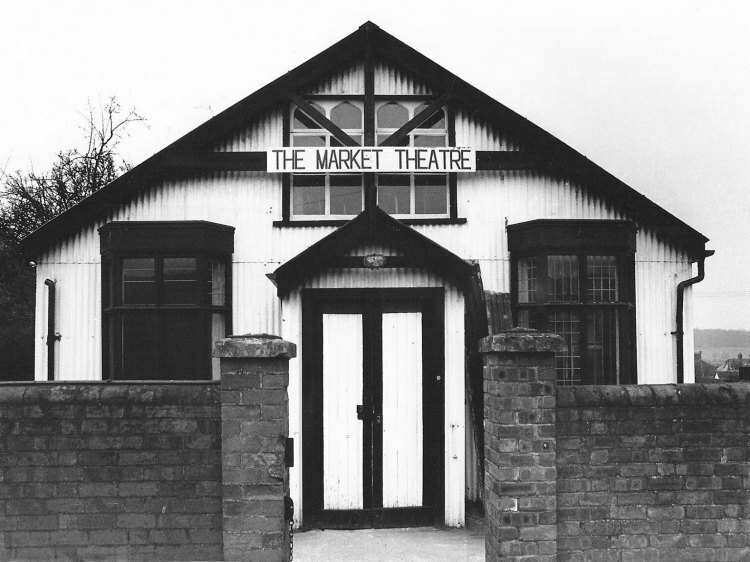 After much negotiating and fund-raising by Ledbury Amateur Dramatic Society (LADS), Ledbury’s new Market Theatre was opened on 19th January 2000 by the Mayor of Ledbury, Cllr. Spencer Lane. 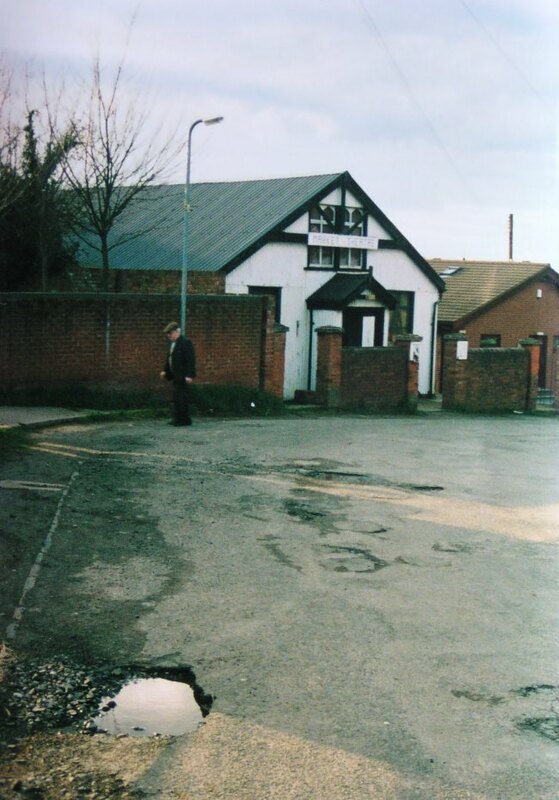 Work started on 30th March 1999, commencing with demolition of the much loved but decrepit ‘tin shed’ that had been our home for over 40 years. That evening, a fire was started in the remains of old shell in ‘suspicious circumstances’, but it did not prove to be a set-back. It was a sad end to the old building, but it could have been our old poltergeist refusing to be upstaged and insisting on going out in style! 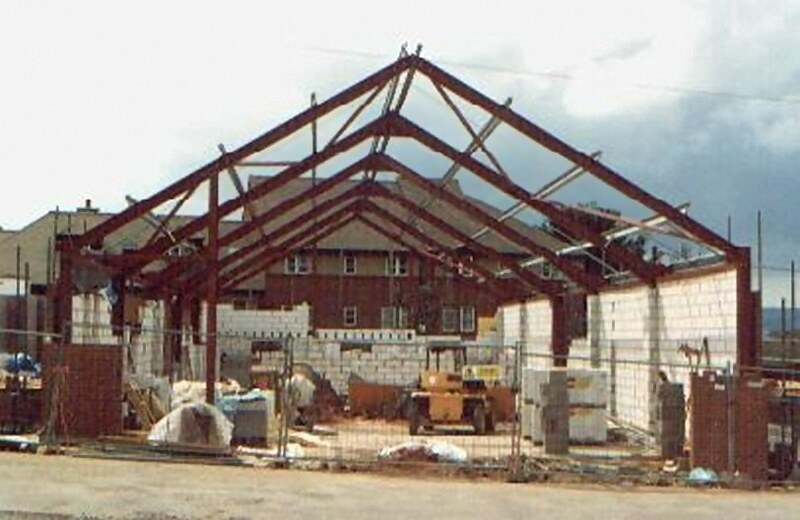 The steelwork was put up in mid-May and the keys to The Market Theatre were handed to our then Patron, the late Richard Briers, on 10th November 1999. 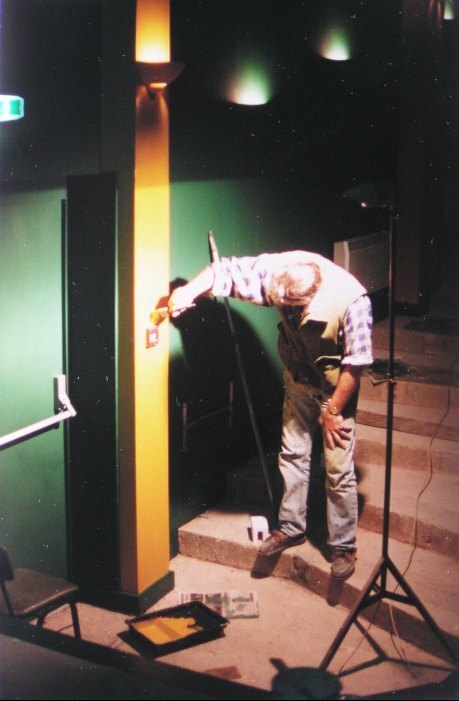 From then until the opening, LADS members worked 25 hours a day fitting it out and decorating it in time to open for our first show – Cinderella, by John Sperinck. 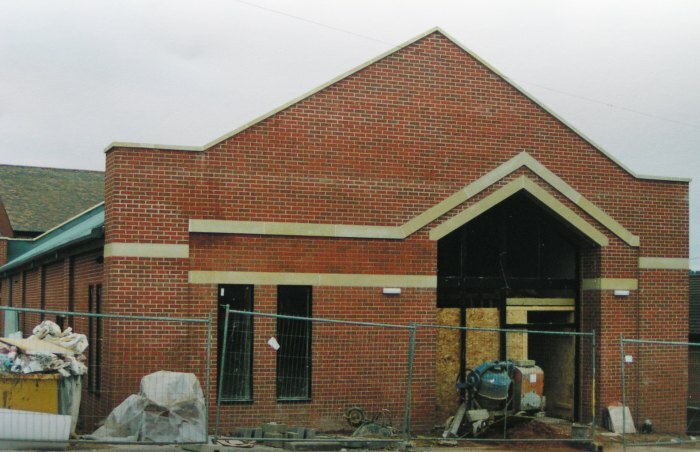 The theatre building won Ledbury’s annual Design Awards competition (see article from 5th May 2000 in the Hereford Times) for the best contribution to the town’s built environment during 1999. A substantial grant from the Malvern Millions was committed to the project, and LADS raised a further considerable sum by its own efforts. Generous support has been given by local people, businesses and trusts, all of which has enabled us to achieve our goal. Please help LADS to continue to provide for Ledbury a considerable asset that will enrich the lives of everyone. We are grateful to Dr. Sylvia Pinches for letting us include material from an article that appeared in the January 2009 edition of Ledbury Focus. This is included in the text that follows and the 19th century theatre in Ledbury section. In 1935, a local group of enthusiasts set up their own film-making club. Dorothy Tow (our President for many years) recalls that “about half a dozen of them started this ciné society and it really did very well. They got quite a good membership and they made lots of films but of course they couldn’t accommodate all their members so once a year they decided they would do a play”. 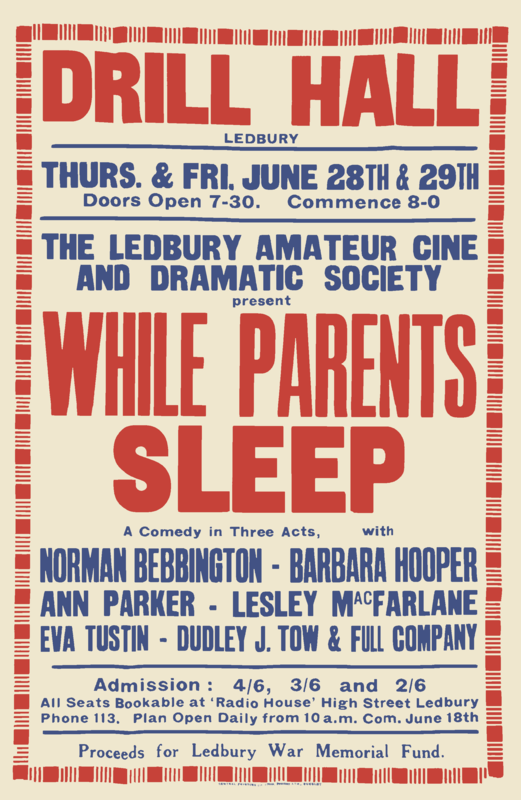 And so, in 1938, the Ledbury Amateur Ciné and Dramatic Society was born. When war came, film-making stopped, but plays and concerts continued throughout the duration at various venues. 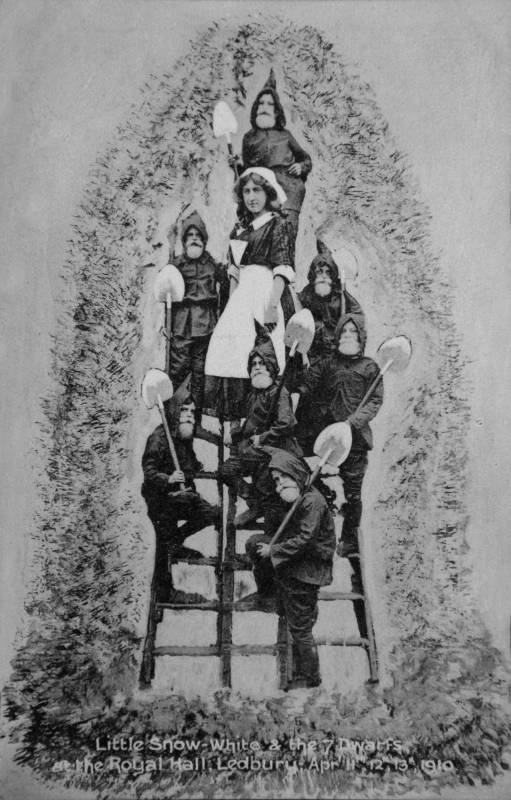 Miss Charlotte Ballard staged a number of plays at her home, Abbey House, in the Homend, to raise money for children in the East End of London. 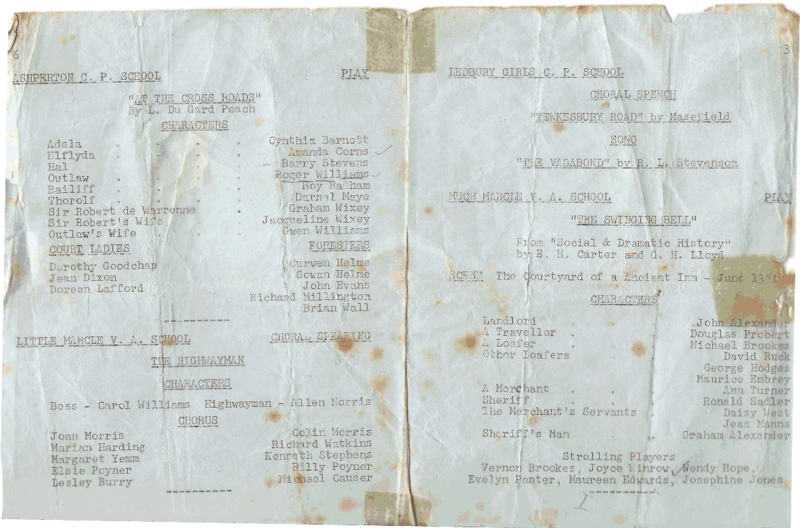 Miss Ballard later produced a number of LADS plays in the Church Room (see below). 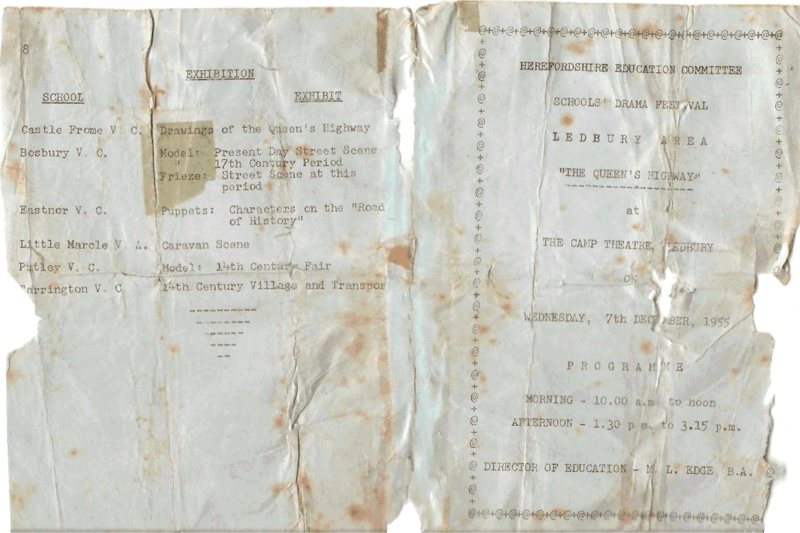 We are grateful to Mary Barwick, the daughter of Pat Long (née Madders) for giving us two posters and programmes of plays staged in 1945 (below, left) and 1946 (below, right). Pat, who passed away in 2012, was in both productions. These early artefacts have now been restored and are on view in the Theatre foyer. The Drill Hall was in New Street – it was demolished in 1988 to make way for the Gateway supermarket, which is now the Co-op. The Church Room was our old theatre, though in 1946 it must have been hired for the event since the Society did not have a permanent home at that time. 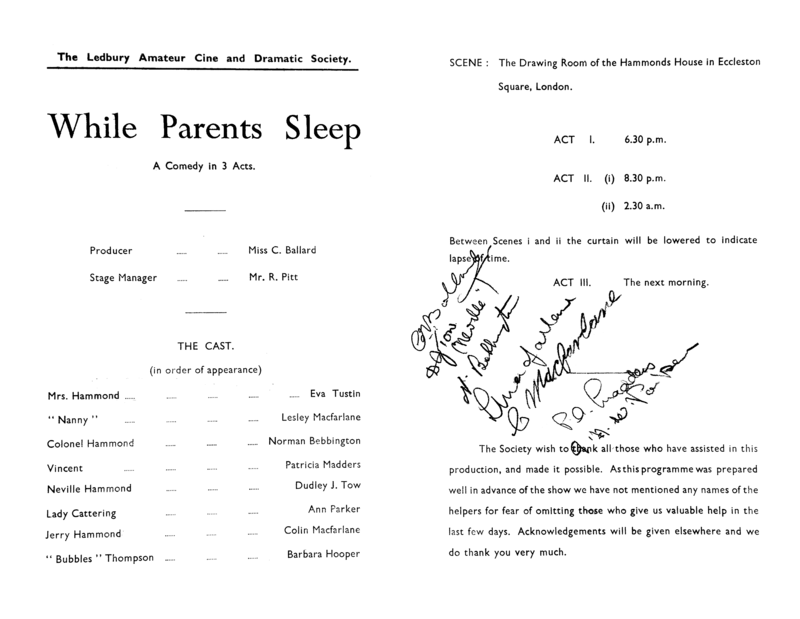 Programme of While Parents Sleep – June 28th and 29th, 1945. 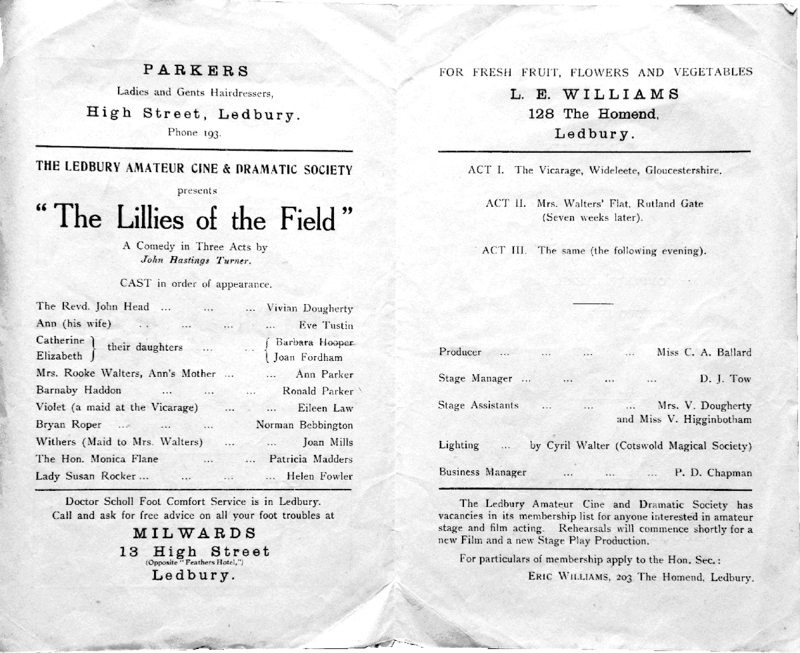 Programme of The Lillies of the Field (sic.) – March 1st and 2nd, 1946. During World War Two, the Italian prisoners held at the camp at Mabel’s Furlong rigged up a theatre in a Nissen hut. After the Ministry of Defence had relinquished the site, LADS (they had dropped the ‘ciné’ from their name by then) took over the little Camp Theatre. One lady recalled: “of course it was a tin hut sort of thing, and when it rained you couldn’t hear a word of what was being said”. 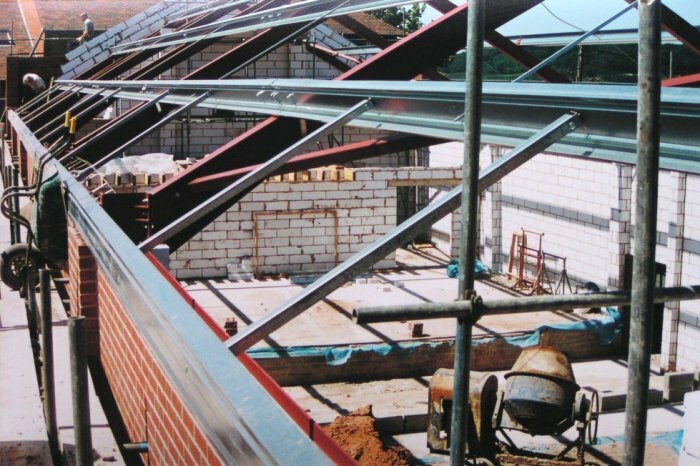 The site was taken in the mid 1950s to build the John Masefield School. 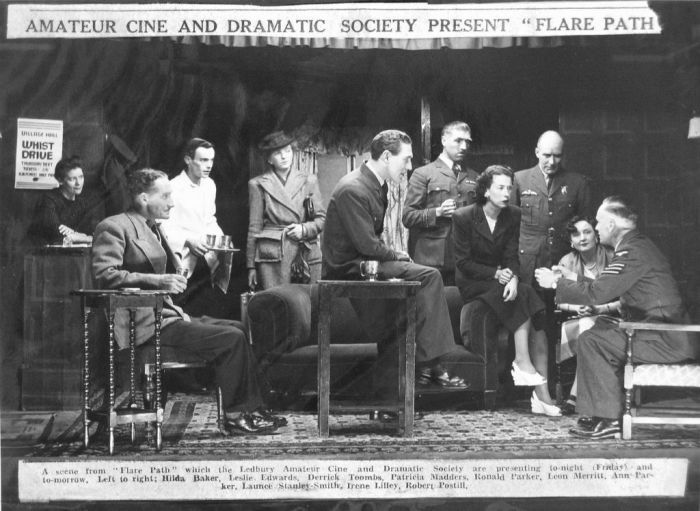 Scene from Flare Path. We think this might have been in the Camp Theatre. 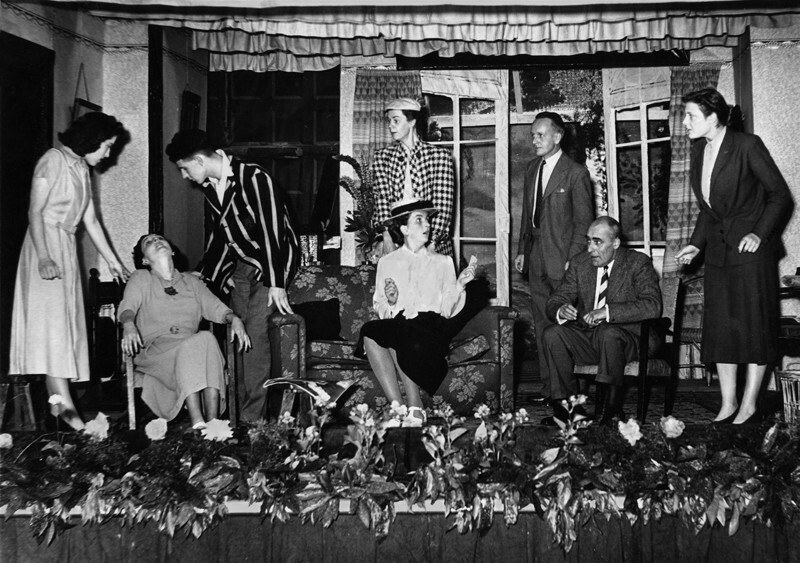 Scene from Charity Begins at Home (1952). From the date, this would also have been in the Camp Theatre. “One of my plays was performed there with actors from Cradley school and there were several other schools, including Ledbury Boys’ and Ledbury Girls’ Schools. As I was quite young and from a little village, I wasn’t sure where the theatre was, and could not recall going to it when I was older. At that time we did not have a raked auditorium. This came after the town’s cinema closed in 1961 and LADS was able to salvage the seating. 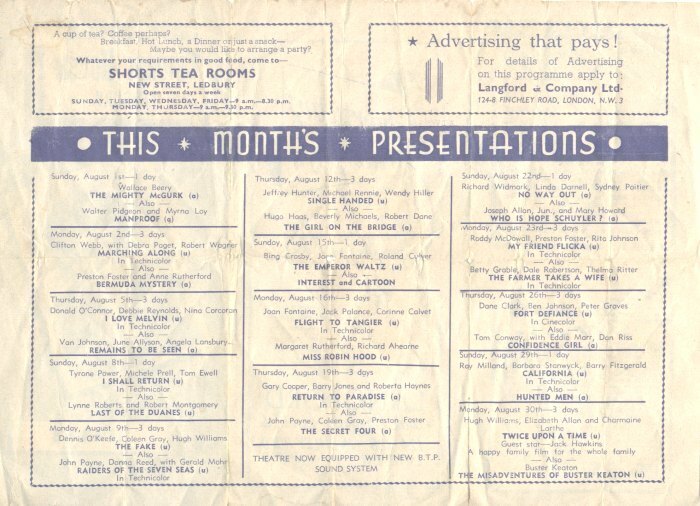 Also in 1961, the old Kemble Theatre in Hereford closed (in Broad Street – demolished in 1963 to make way for that dreadful monstrosity, Kemble House). This left our little building as the only theatre in Herefordshire until 1979, when the Nell Gwynne Theatre, converted from the old swimming baths in Edgar Street, gave the city of Hereford back its own theatre. 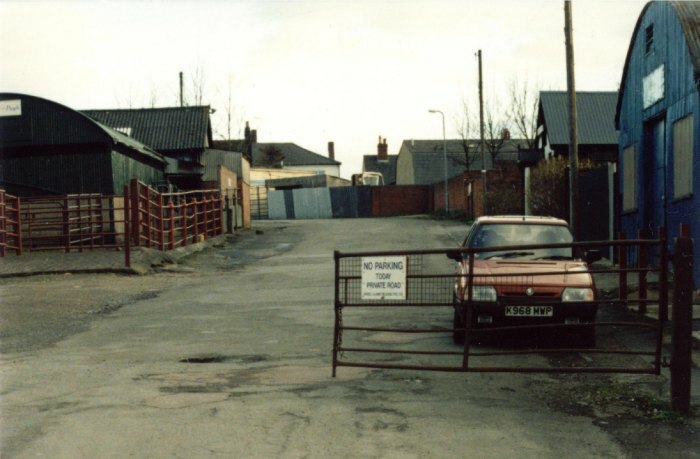 We nearly lost our theatre in 1986, when a fire started by children playing in the old allotments at the back (now occupied by Harling Court) got out of hand. It destroyed our store and rendered the back part of the building unsafe. LADS managed to scrape together sufficient funds and was able to call on labour of young offenders to rebuild from the proscenium back, in which we were able to include toilets for patrons – but they could only be reached by walking outside down the entire length of the building – whatever the weather! The auditorium and FoH (such as it was!) were salvaged, although considerably smoke-damaged. 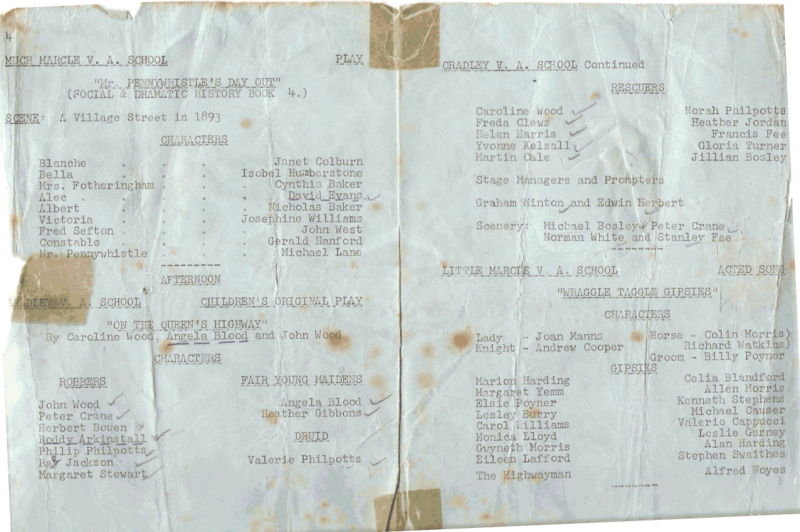 The fire happened shortly after our production of Night Must Fall by Emlyn Williams – Mrs. Bramson’s wheelchair sat defiantly in the ashes of the stage. 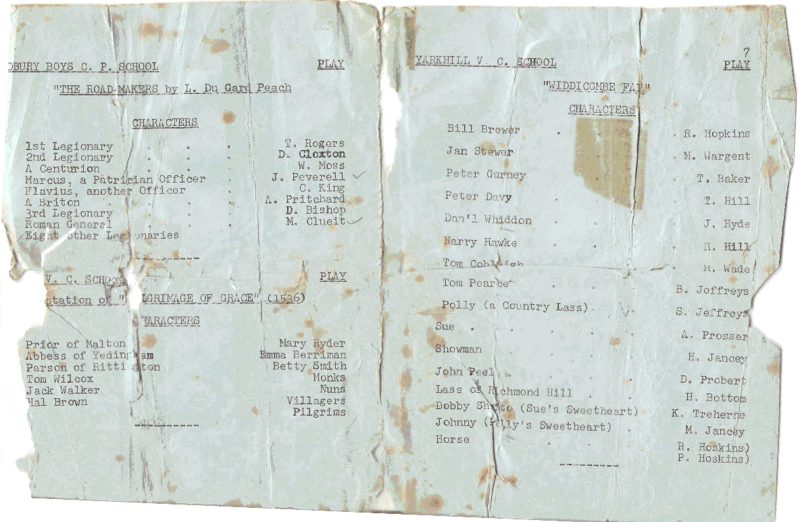 LADS previously put on this play 30 years earlier, in 1956, which could have been our first production in the Church Room. Shortly after this production closed, the young man who played Danny was killed in a motorcycle crash. Even if we weren’t superstitious (which of course we are not), we have no intention of doing this play again in 2016 (or ever)! Market Street was more potholed than the worst roads in Ledbury today! 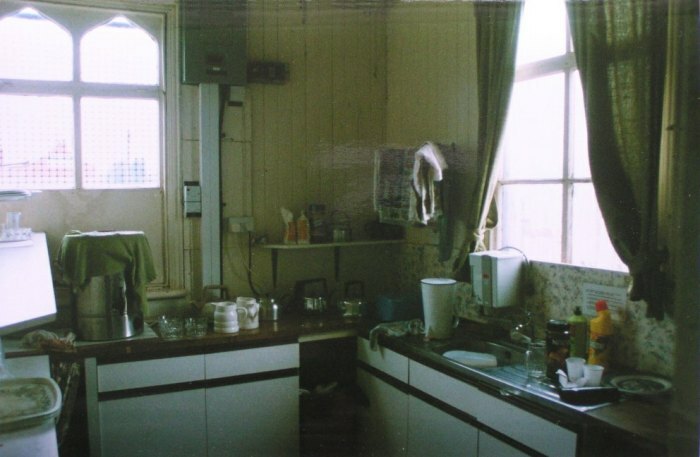 Likewise the kitchen – eat your hearts out, hygiene inspectors! ... an equally cramped control room, from which we could not get a decent view of the stage owing to beams supporting the auditorium roof, right in the field of view. 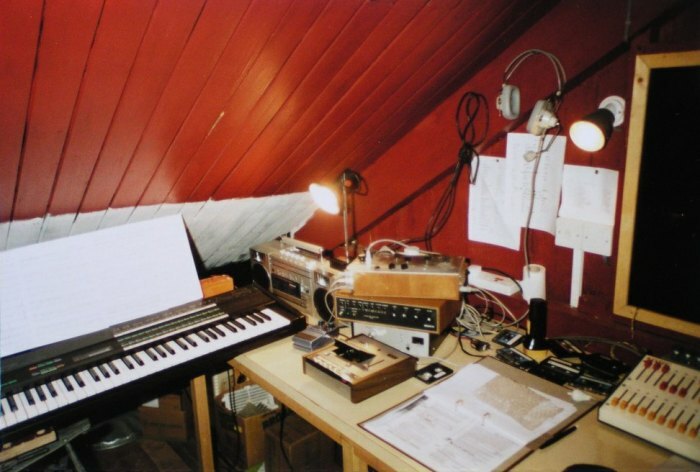 Our sound kit consisted of an old cassette machine, ghetto blaster and domestic amplifier – lighting was controlled by an analogue desk (bottom right). 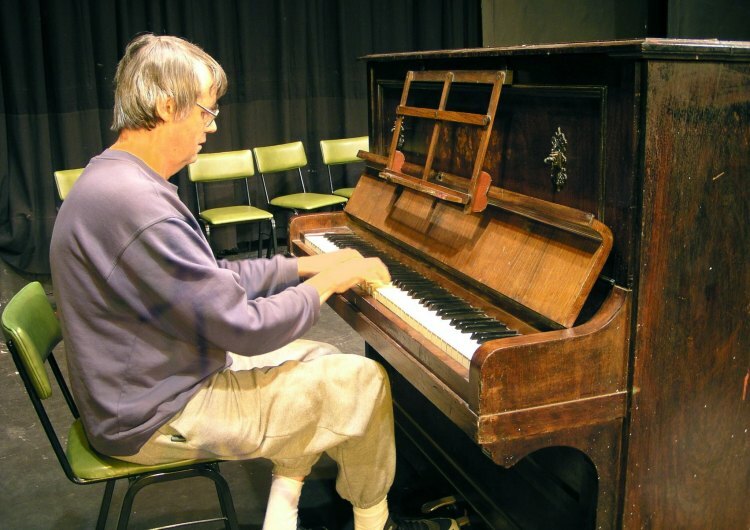 This shot was taken during one of our pantomimes – I still use the DX7 synthesiser (left) for musical shows. Note the Black and Decker Workmate – partly visible to the bottom left – needed then to support the left side of the keyboard! ...We had sufficient funds to build a new Theatre. 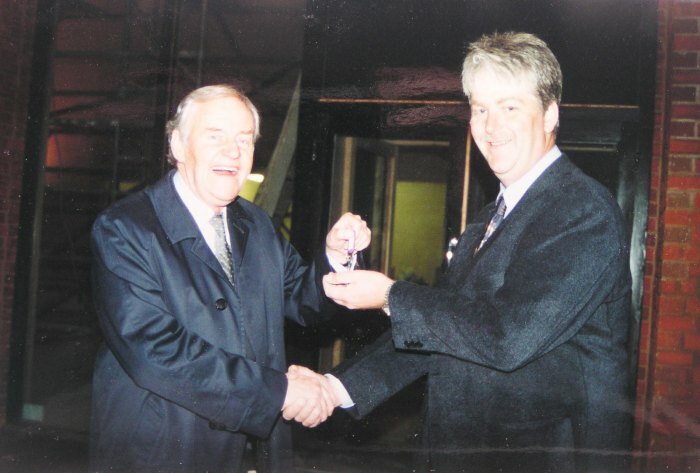 Handing over the keys to our then patron, the late Richard Briers, 10th November 1999. LADS decided that the time had come to replace our old piano. The more observant among you will have spotted that this is the same piano as in the 1950s photograph above. It survived the 1986 fire (more damage was done by water used to put out the fire than by the fire itself). Thus it was with some regret that we parted company with the last remaining artifact from the old theatre, but it simply was not practical to keep on heaving a quarter-of-a-ton of cast iron and wood onto the stage and then back down again, as required by the increasingly varied shows we now host (not to mention the risk to piano and personnel). So we splashed out on a new Yamaha Clavinova digital piano (one third the weight). We are glad to say the old lady has been given a home by one of our members where, no doubt, she is receiving loads of Pledge and TLC. The montage of posters from previous productions in the new and old theatres below the bar in the Theatre. The whole of Market Street was considerably improved between 1999 and 2005. Our Theatre (right back) started the ball rolling. 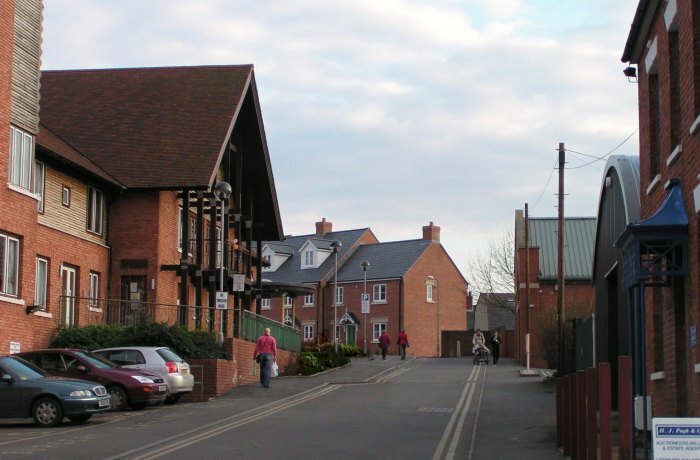 The Community Hospital (left) was built on the site of the former Cattle Market during 2001/2, and Old Market Court (centre back) was built on waste ground during 2004. Despite the weather, The Queen and The Duke of Edinburgh did come to Hereford for a brief 75 minutes in total, of which all of half an hour was spent on Hereford’s King George V playing fields. 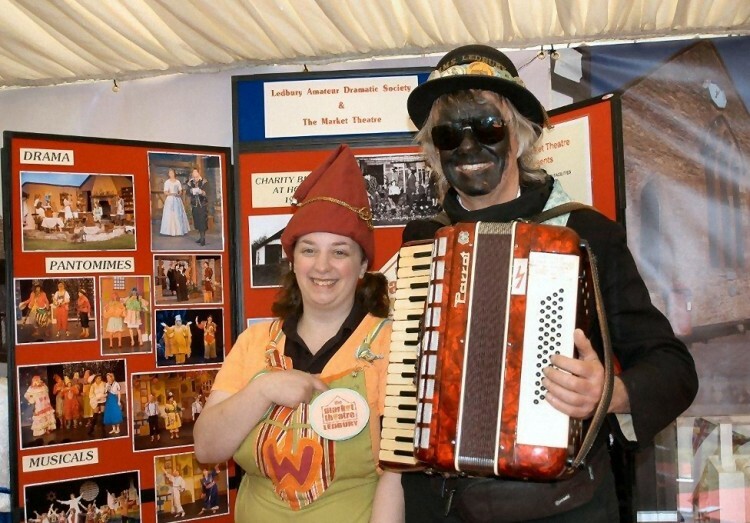 LADS and The Market Theatre joined the Ledbury Mayor in a marquee promoting Ledbury. We had a small space within which we had a ‘Story Board’ relating to our history, activities and important role in the community. Photos below were taken by the late Peter Lawson-Smith. – Silurian Border Morris Men performed at the event. 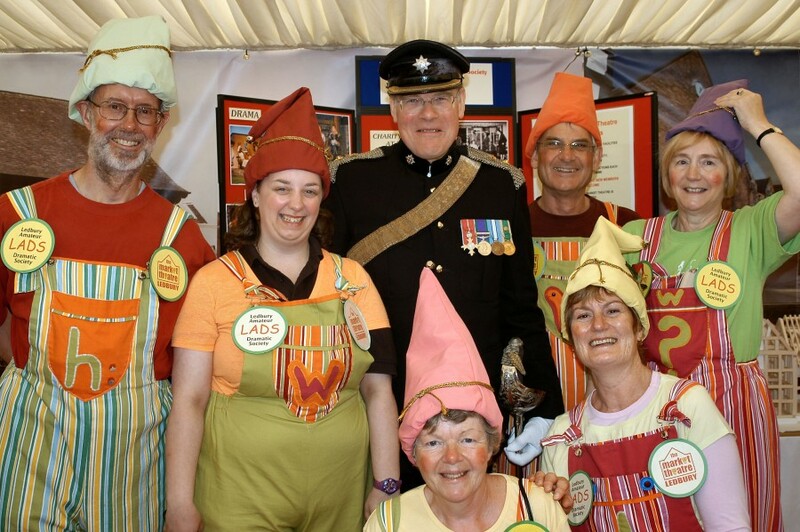 More ‘Woodland People’ with the High Sheriff of Herefordshire, Lieutenant Colonel Charles Thwaites, MBE. In the early nineteenth century, touring companies came and performed in the town, often for ‘one night stands’. The theatre was regarded as being not very respectable in Victorian times. 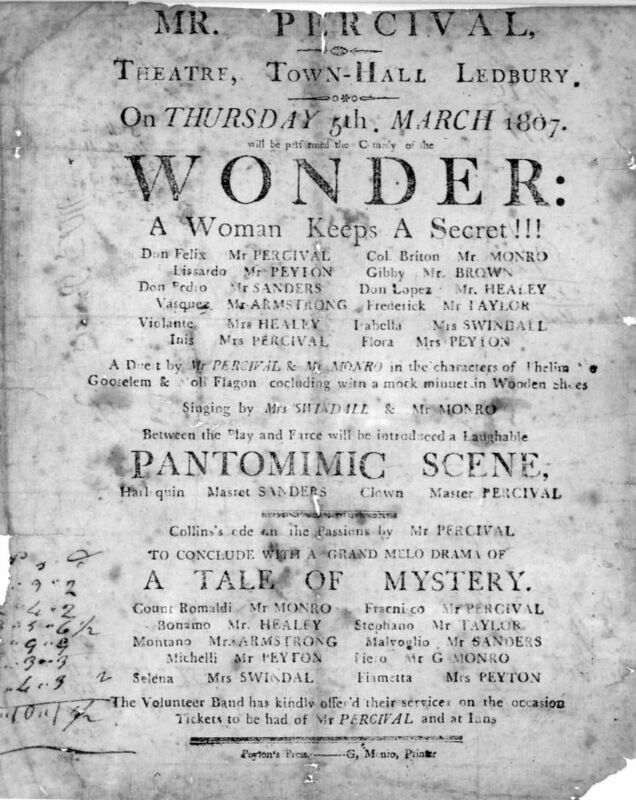 In 1857, the ironmonger, Walter Pitt wrote in his diary: “went with a lot more to the theatre but the company was very low” and he soon returned home. 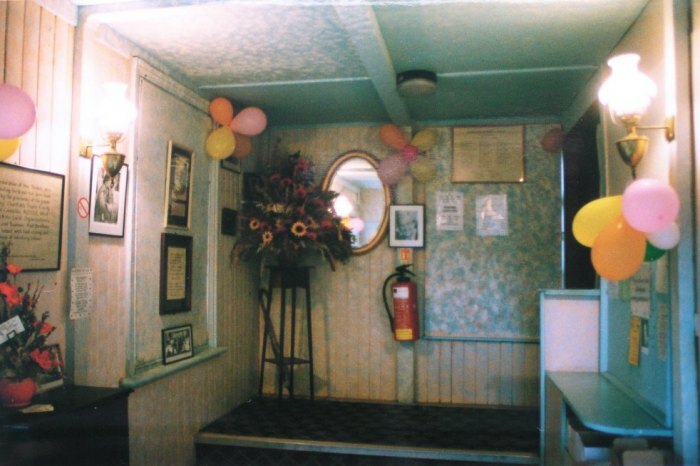 Thirty years later, the October fair drew “perhaps the last performers of famous plays about the Murder in the Red Barn, or Shaw the Life-Guardsman.” Later still, the assembly room at the Royal Oak (known as the Royal Hall) was licensed for theatrical performances. Both professional touring companies and local amateur groups performed there. The New Street theatre is thought to have been near the Top Cross, in premises now occupied by ‘Averills Collectables’ (9 New Street). The Town Hall theatre was probably the half-timbered Market House. However, the staircase was not added to the Market House until 1865 – before then, access was through a trap door (evidence of which is still visible) in the centre of the floor. The dates of 1807 and 1832 therefore imply the Town Hall theatre could have been elsewhere – one can imagine the gentry wearing tails and long dresses ascending a ladder! We are also grateful to Dr. Pinches for letting us see a photograph taken in September 1885 of the Market House with a chimney pointing out through the middle side window (though I have also seen a photo taken during the 1860s renovation that does not show a chimney). Health and Safety was not on the agenda then – ‘Good Fires’ would have been decidedly dangerous! Unfortunately, we are not permitted to reproduce that photograph here since the copyright is owned by English Heritage’s National Monuments Record at Swindon. However, I have since found a better quality photo posted by Cornell University on Flickr, for which it is stated there are no known copyright restrictions. The ladder seems to have been retained as a backup – it can clearly be seen in the photo here. English Heritage has some photos of Ledbury on its website, including a good aerial shot taken in 1951 (which unfortunately does not show the old theatre) and two of the Market House, one of which is yet another photo (copyrighted this time) with the chimney and a few people sitting in front. English Heritage’s reference for the 1885 photo of the Market House with a chimney is AL0192/23/02. Nineteenth century shows must have gone on for a very long time, given the number of items in each of the examples above and below. The next image is one that LADS acquired some time ago, the original of which is also in the Foyer. Note that, although this specifically states the venue as being the Market House, it also predates the staircase by some 30 years! The following is a cleaned-up Xerox copy of another poster. The original of this was printed on silk, which must have been creased when it was first copied. 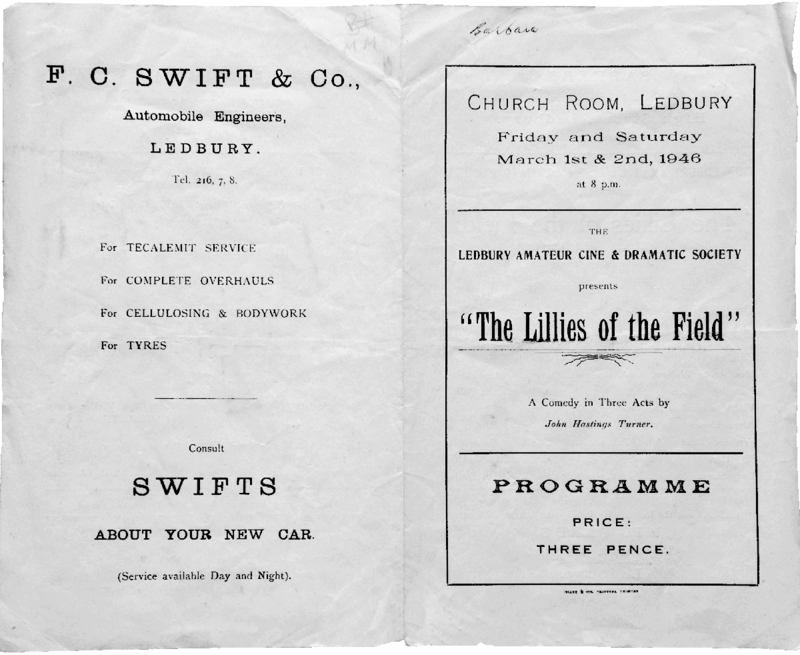 Two early twentieth century theatrical events in Ledbury follow. 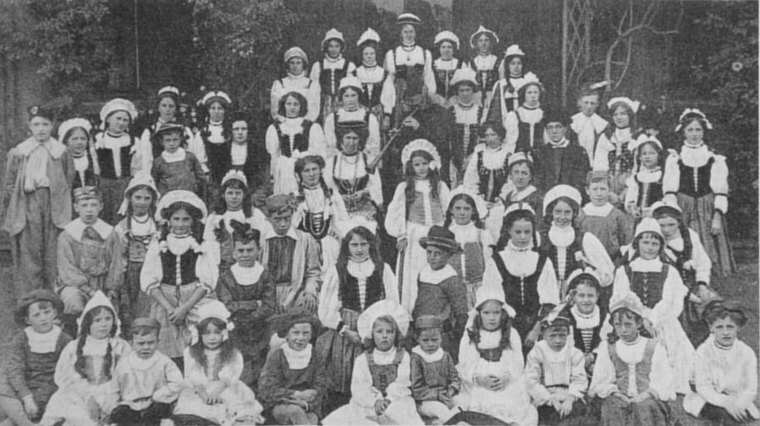 In 1909, a Miss Bickham, who lived at Underdown, trained fifty girls to take part in performances of The Pied Piper to raise funds for the proposed Parish Room building. 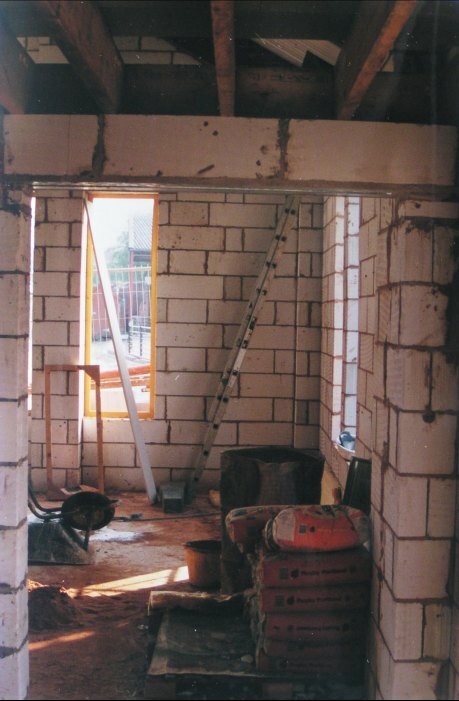 (This was almost certainly the Church Room, which became the old Market Theatre.) The Pied Piper was played by Mr. C. Bedford, whose “ability was far above average” according to the local paper, which described the show as being “one of the finest performances ever seen in Ledbury”. The Mayor was played by Mr. J.H. Yeo, and the orchestra was led by Miss Masefield. The newspaper was equally complimentary about Miss Hilda James, who played Hans: She had “a very large part and in every particular she proved a star. Her acting was perfect.” After the last curtain call, there were shouts for Miss Bickham, who appeared and was given a bouquet. 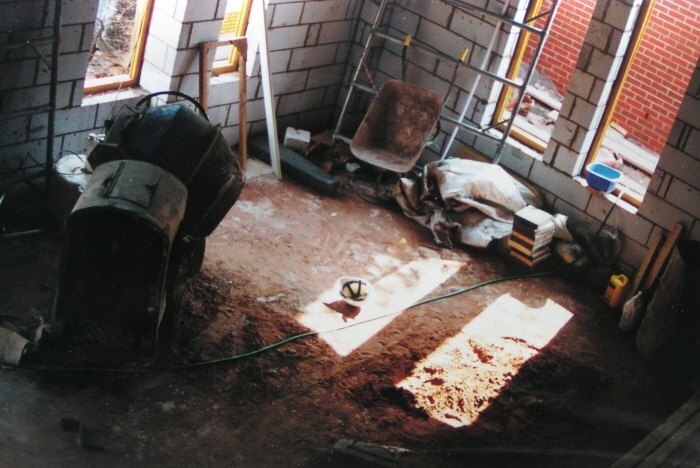 The gross receipts were nearly £100 of which almost £60 went to the Parish Room building fund. houses at the Royal Hall from November 1st to 4th 1909. Daddy Rats for 6d, Mummy Rats for 6d and Baby Rats for 3d. 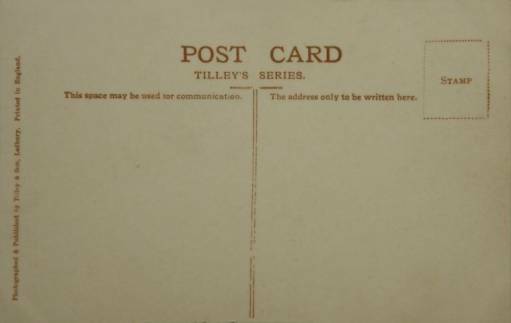 In 2008, LADS acquired this Tilley’s postcard from 1910. It had never been used, but is now framed and on display in the Theatre. 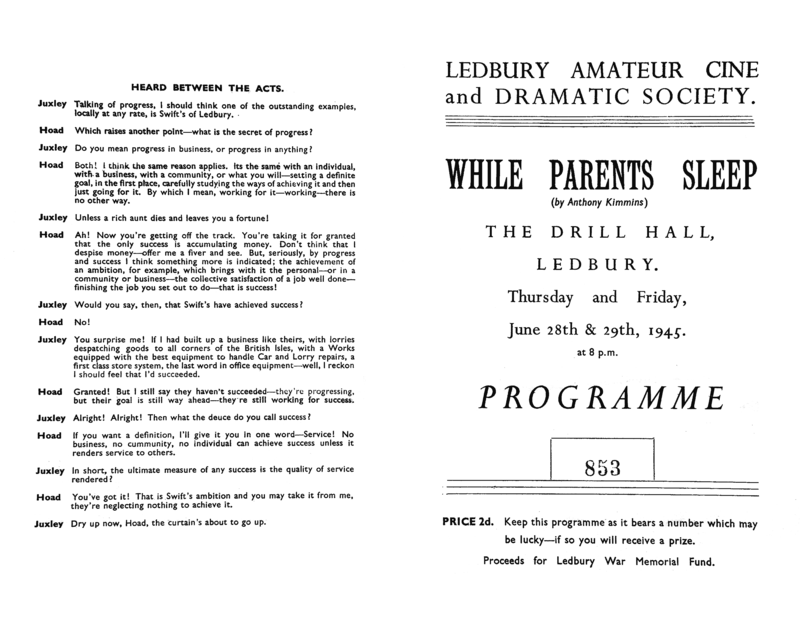 Little is known of early film showings by the original Ledbury Amateur Dramatic and Ciné Society. If anyone has any details of our early shows, live or cinema showings, please make contact. However, we now know of a film made in 1953 by one of our founder members, Jack Tow, of an ox roast to commemorate the Queen’s Coronation, that took place in Ledbury’s High Street. Owing to rationing restrictions at the time, this event was one of only a few allowed by the then Ministry of Food – because Ledbury had a tradition of holding such events. The film may seem very dated with its dubbed-on Pathé News style soundtrack, but that is part of its charm. It encapsulates 48 hours of life in Ledbury in an era when one could leave building materials beside the High Street overnight without even considering they might walk... There is an interview before the film with Jack’s widow, Dolly Tow, who was LADS’ president for many years. The main film includes a carnival procession along the Homend, High St. and New St. The only concession to Health and Safety was a thought just before the fire was lit that it might not be a bad idea to have a makeshift barrier of old oil drums to stop people getting too close. Oh, and they did consider in passing that it would not be very clever to build the fire too close to the Market House! This event was repeated (this time with full Health and Safety compliance) on 2nd June 2013 – exactly 60 years after the Coronation. 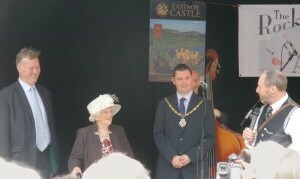 Dolly Tow was Guest of Honour (as Ox Roast ‘Queen Mum’). Norman Stanier (Director, Ledbury Ox Roast 2013). 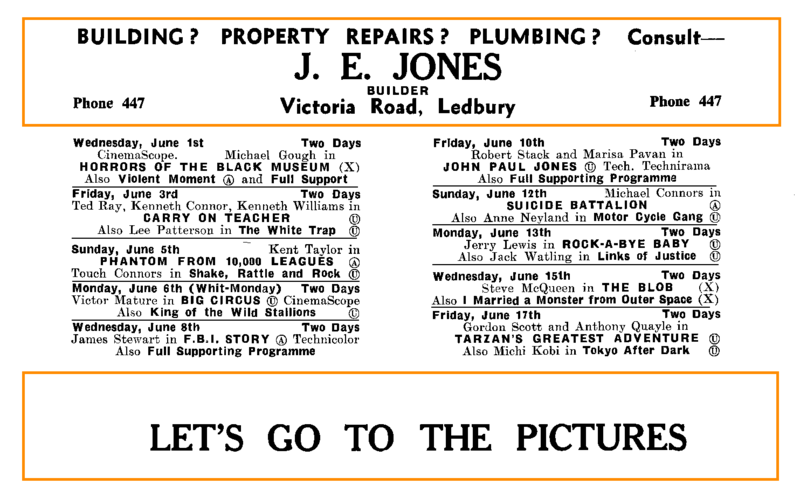 Ledbury had a dedicated cinema in the Homend, near its junction with Bank Crescent, which is shown on the 1926 Ordnance Survey map of the town. Sue Harling recalls: “We used to queue up Bank Crescent because we always sat in the 1/9d. That was when Joan and I went on our own, but when we went with my mother and father upstairs the price was 2/3d; better seats altogether. Children used to queue in the Homend to get in for 10d, where they sat on benches. There was a lady called Mrs. Crossley who used to run the Cinema, and she used to announce to everyone what was happening in the film. She would shout “They are behind you” and not on our side.” The Cinema was very popular until 1961, when it closed following the decline of cinema nationally. It reopened after about six months for a short while, and then closed for good. Many of the seats were salvaged for use in the old Market Theatre. 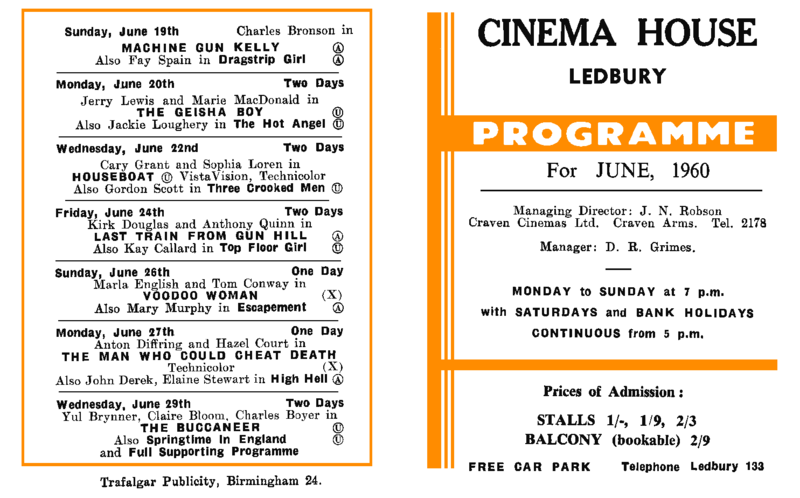 Two programmes from the old Ledbury cinema follow. 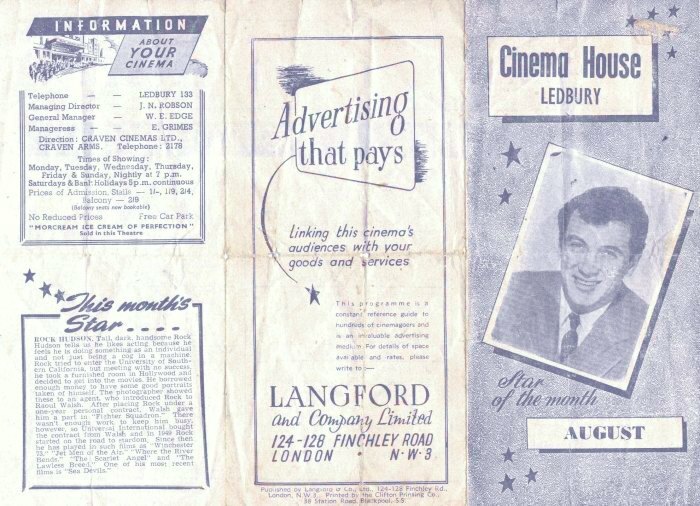 The first is an August programme, thought to have been from the 1950s. This would have been 1954 since the days of the week match the dates for that year. The second is for June 1960. LADS is grateful to Dave Grimes, who lent the originals. His grandmother, Mrs. E. Grimes, was manageress in the earlier programme, and his father was manager in 1960. Dave’s grandfather was the projectionist in the 1950s. Note the seat prices were the same in 1960 as they were in 1954! 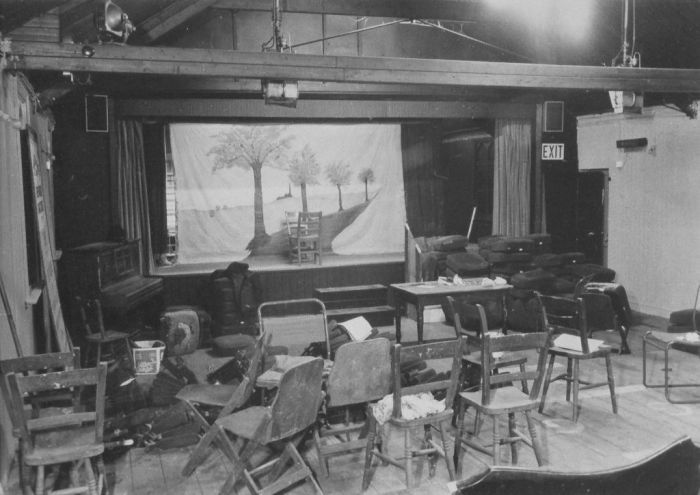 Following its closure, the town was without a cinema except for occasional showings in the Old Market Theatre and in the Royal Oak ballroom (Royal Hall) on 16mm projection equipment. There were more frequent showings in the early 1990s when LADS hired equipment (again 16mm) and films from ‘Reels on Wheels’, which was the predecessor of ‘Flicks in the Sticks’. Flicks is the current organisation, part of Arts Alive, which brings films to rural venues in Herefordshire and Shropshire. Shortly after the new Theatre opened, LADS joined the Flicks in the Sticks circuit – using their mobile DVD and VHS equipment. 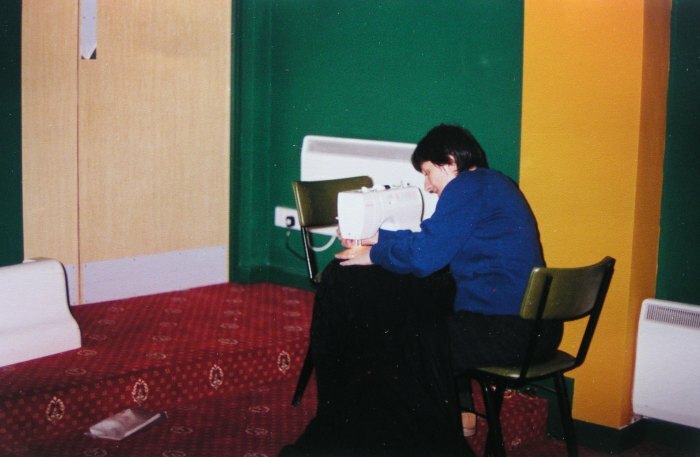 Then, in late 2002, with the help of generous grants from Advantage West Midlands and Ledbury Town Council, LADS was able to purchase its own projector and a 6 metre wide Harkness-Hall roll-down screen. The latter is permanently mounted above the stage and can be lowered for film showing as required. The house sound system was extended to accommodate the multi-channel surround sound that is encoded onto most current DVDs. In 2009, we acquired a Blu-Ray disc player that plays the most recent High Definition (HD) discs. In 2011, with a generous grant from Arts Alive, we were able upgrade our projector to full HD and install a separate Dolby 7.1 sound system. This released our house sound system for other uses. A second Blu-Ray player enables quick changing from one HD source to another. In 2013, with a further grant from the Rural Development Programme, we installed equipment to play HD Dolby broadcasts through the cinema system via satellite from some of the most prestigious venues in the World, including the Royal Opera House, Covent Garden.